This Is Progressive has followed your work over the past couple of year with Last Day, You And Me, and Mirror being some of the stand out tracks. You mention that Last Day is one of your greatest tracks. Why does this track mean so much to you? That’s right, this track is really a lot to me. This is a kind a call to the fact that we need to live each day as the last one. We need to enjoy every day, to catch every moment… We have to do everything exactly as if tomorrow it will be impossible. We have to enjoy life, to love and cherish their loved ones. Tomorrow may never come. However, each has its own association for this track. You mention that you always try to get feeling and emotion into all of your music. How do you go about this? Do you try to relate your music to experiences in your life? Of course, my music is built at the emotions. My music is related with my life, my experiences and different situations…It is a kind of diary for me. In this I can write what is happening with me through sounds … But I put my soul into it. Also part of my music is an experiment related with my dreams and fantasies. Yes, at the moment I am living in Belarus. I love my country, but yet it does not inspire me :) I find it difficult to develop as a musician and dj, because this music is not very popular in our country. One of your tracks, You And Me, was remixed by Max Cooper who is a huge influence to many of the guys here in the This Is Progressive office. How did you go about contacting Max for the remix and how did you find working with him? I am very glad that you like this remix. I also really like it. Max Cooper is an amazing and unique musician. Many thanks to him for this great remix. However, all this has happened thanks to Blake Sutherland, the owner of the Wide Angle Recordings. He contacted with Max Cooper and thus helped me. I thank him for that. You have released tracks on some great labels such as PFL Records, Klangwelt and MNL Recordings. If you could release a track on any record label which label would you choose and why? If I had the chance, I certainly agreed to release the track on the labels as Bedrock Records, Kompakt Records. I’ve always liked these labels. I would also like to release a track on the labels as Traum and Border Community. In these labels I appreciate the quality, proven over many years … their high level. The industry has seen many changes throughout the years, but one issue is the struggle for exposure in a flooded digital world of music. How do you find this affects you and releasing your music? I agree with you, in our time, a lot of music … every day in the world is a huge number of releases … very hard to find in this mass of high-quality producers. All because today a lot of “musicians”, and all of them think that the next better than the last. Today, anyone can write a track and release it on the label. But it is not. Among the huge gray mass can find a real treasure. A lot of people keep track of a lot of music and at the end find what they like. As for me, I just make music that will find its own audience. The technology used by both DJs and producers has changed so much over the past few years. How has this changed how you DJ/produce and what technological advance would you like to see for DJs and producers in the future? Progress is currently directed toward facilitating our work. We spend less time in preparation, and we can spend more time on the very process of creation itself. New software, new devices … it’s great. Many amazing things. I can not say what will happen tomorrow, but I very much hope that this will greatly help us in the future. This will help to open up new horizons. Which DJs/Producers have caught your eye of late and why? In fact, I will highlight the wide range of DJs and producers, the creativity which I continue to watch… for many of them, I started watching at the same time. I love the wide variety of music … I never dwell on anything one. 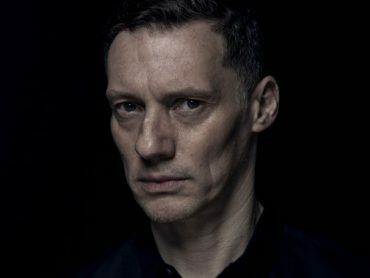 For example, such names as John Digweed, Nick Warren, James Holden, Trentemøller, Apparat, Gui Boratto, Stephan Bodzin, Sasha, Max Cooper, Lanny May, Ryan Davis, Minilogue, Extrawelt, Applescal, Ricardo Tobar, Spada, Electric Rescue, David Granha, Deepfunk, Microtrauma, N’to, Mitrinique, Guy J, Henry Saiz, Dominik Eulberg, Kollektiv Turmstrasse, Fairmont, Groj, Dual Shaman, Mattheis and many others. I could continue this list indefinitely!!! :) Of course I have to mention some of the more contemporary artists such as Indieveed, Roel Hoogendoorn, Makson, Logiztik Sounds, Ehohroma, Mode-B (unfortunately the project fell apart)… and many others. This is only a small part of those artists whose creativity I like. Once again … I could continue this list indefinitely! :)I like them for the fact that each of them has its own special features. It’s not like each other. These are unique people. What setup do you use at home to produce with? Do you have any favourite toys in the studio? You’ll laugh, and maybe you’ll not believe me:))) but in fact, I have a very modest home studio. It’s very simple. In my arsenal, I have a computer, a pair of monitors, sound card, of course my headphones and my favorite controller – M-Audio Evolution. As for the software … I work in Propellerheads Reason for the most time. This is my favourite DAW. And sometimes I use Ableton. At the moment I use it. But in the near future, I plan to equip my studio boee professionally. If you could give any advice to any young budding producers out there what would it be? I would suggest always stick to its path. You need to create something different, special and different from the others. You have to be not like others. Only then will appreciate it. What was the weirdest/funniest thing that’s happened to you at a gig? Lastly, are there any new projects in the pipeline that you can tell us about? Of course, at the moment I’m working on a few remixes for Sound Avenue, MNL, PFL Records,and Inlab. Some of them will be released in the near future…by artists such as Idiot Idols, Cardiowave, Antrim. In the near future, is expected to release on labels such as Agara Music and of course the Wide Angle Recordings. I will share with you my little secret. Apart from anything, I’ve already started working on my new album. I do not know when I’ll finish it. Also, I can not say anything in advance, but I assure you that it will be even better … higher quality and more interesting.